Collect, Monitor and Display Customer Reviews on Your Website! 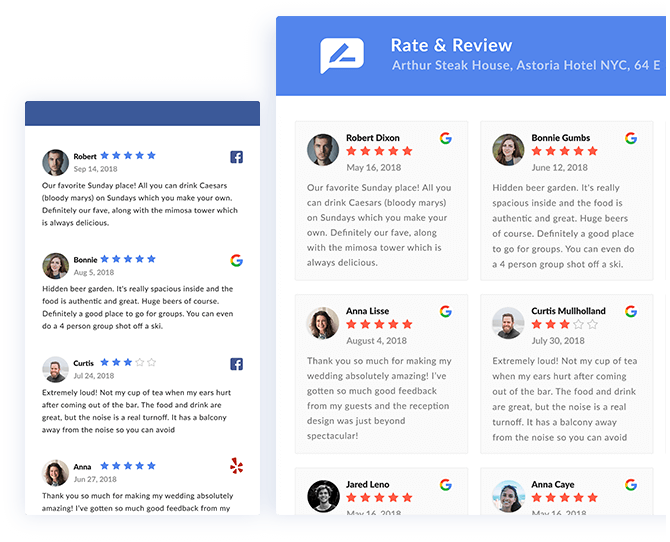 Manage all your reviews from one place. 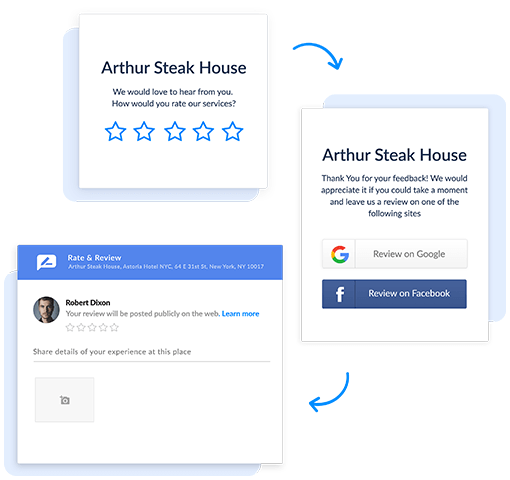 Showcase your reviews on your website, collect reviews from your customers and track review performance. Increase your business's social proof with online reviews. 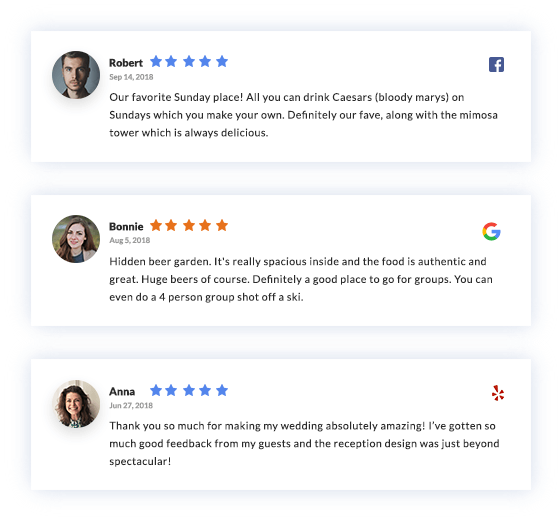 Our widget makes it easy to start showcasing your Google and Facebook reviews directly on your website. Get more online reviews by letting customers rate your business directly from your website. Collect additional feedback from unsatisfied customers to help improve your business. 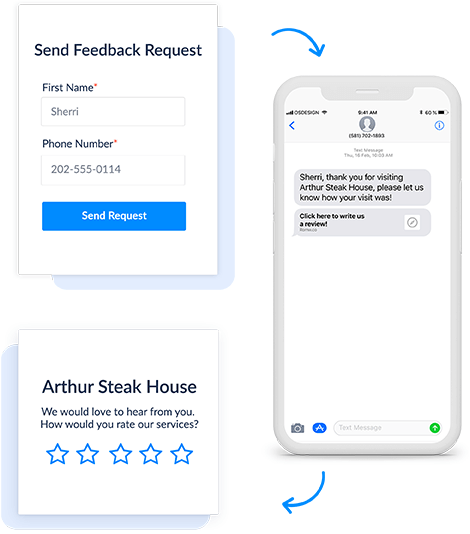 Collect more online reviews by following up with your customers via SMS and Email with a link to write a review.